New carpet and new refrigerator to be installed soon. Great price for this location! 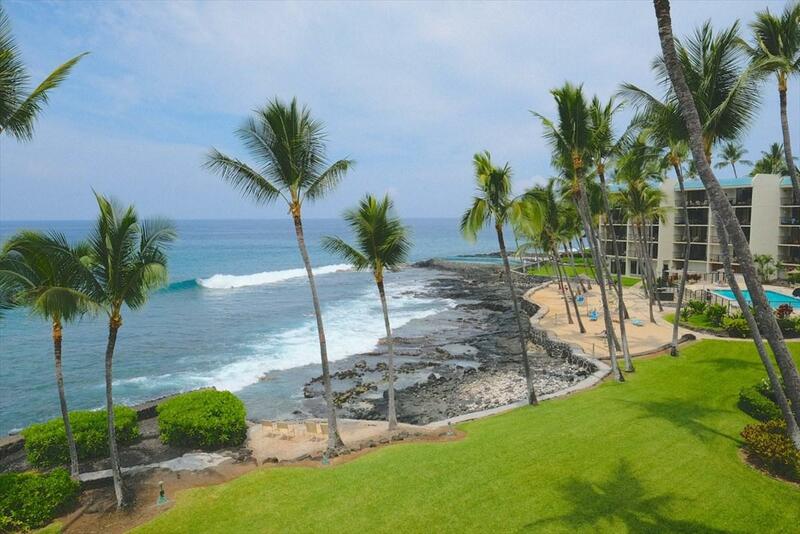 Desirable 3 RD floor unit at south end of complex away from pool with direct ocean frontage. Spacious 2 Bedroom 2 full bathroom nicely updated throughout. Being sold fully furnished. 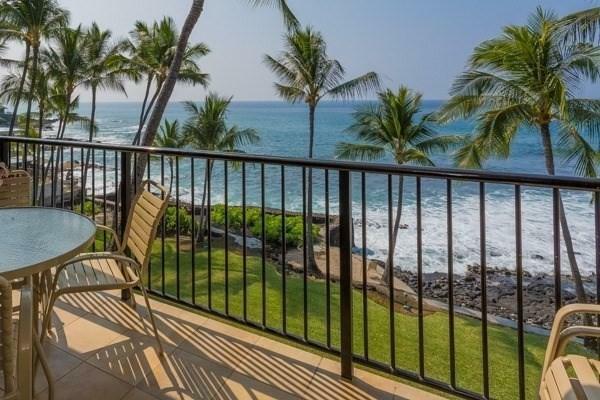 Spectacular ocean, coastline and sunset views from living area kitchen, master bedroom. 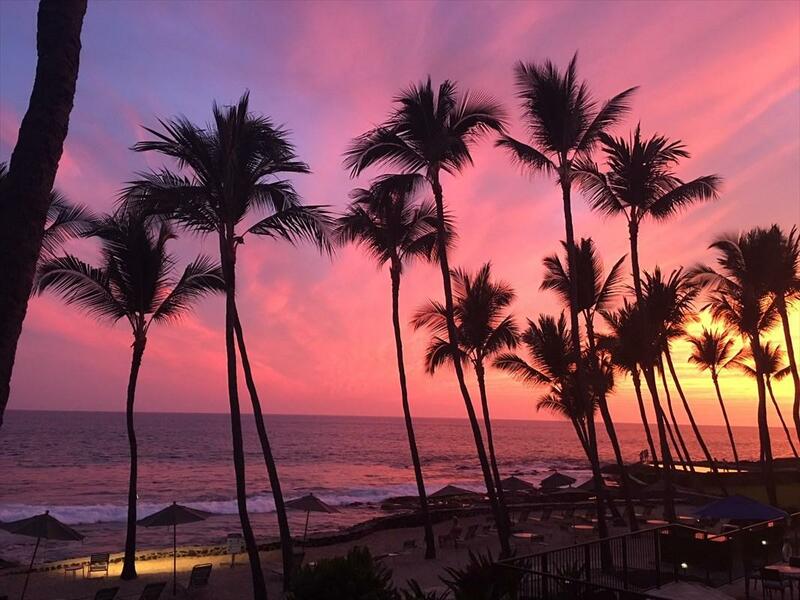 Convenient elevator, central AC, covered parking.Kona By The Sea offers a sandy private beach, lush tropical landscaping with large grassy areas and is one of the few ocean front complexes that allow pets for the owners. This is a very busy vacation rental. 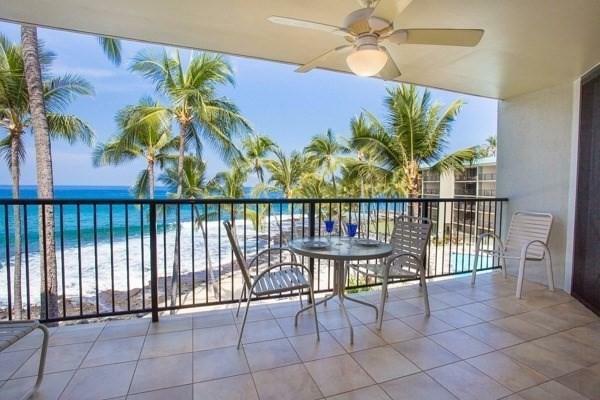 All vacation rentals 30 days or less must be run through Aqua/Aston vacation rentals.This is an ideal second home or vacation rental.# 302 is one of the premier and preferred locations at Kona By The Sea.